The Legend of Zelda: Tri Force Heroes features over 30 costumes that can be accessed through normal play. But there’s one that is only obtained by teaming up with friends locally. 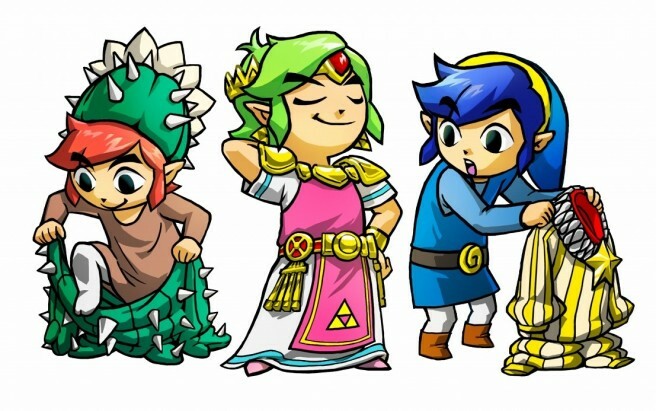 When playing local multiplayer (including Download Play), you’ll receive an item called the “proof of friendship”. You’ll get one “proof” per friend’s system. A currently unspecified amount is needed in order to obtain the special costume. 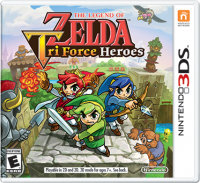 Speaking with Japanese website 4Gamer, Zelda series producer Eiji Aonuma and Tri Force Heroes director Hiromasa Shikata explained that the team thought they should make a reward for those people for play locally. Head past the break for our translation of the interview excerpt.